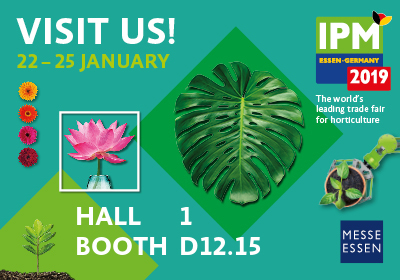 Union Fleurs will this year again be present with its own booth at IPM Essen in Germany, from 22 to 25 January. You are warmly welcome to visit us in Hall 1, Stand D12.15 at the BGI TRADE CENTER! You are warmly welcome to join our member BGI in celebrating 20 years of “Building bridges between all market parties” through their valued service at the BGI Trade Center in IPM.